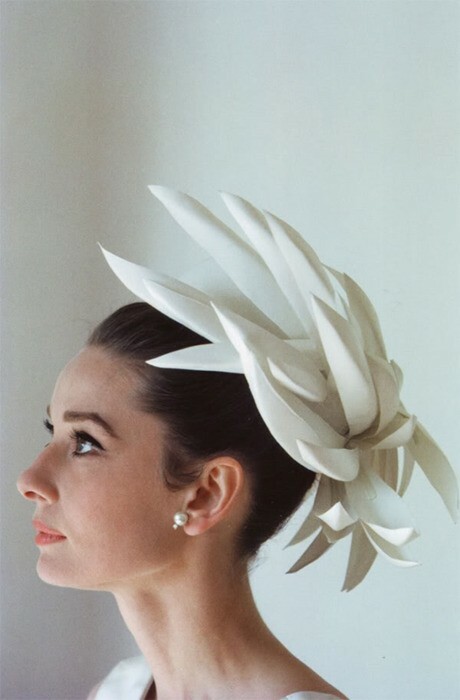 Audrey Hepburn is one of my style icons …. actually she is probably yours too since she is the most famous style icons of the last century and her simple yet fabulous sense of style is admired to this day. I think that one of her style secrets is that she kept it very simple. She wore clean lines and clothes that emphasized her slim physique and wore only what suited her…. Ofcourse it didn’t hurt to be best friends with a designer like Hubert de Givenchy. She was his muse and he designed most of her famous dresses ….. The most famous one is the black dress that she wore in Breakfast In Tiffany’s ( one of my favorite movies). Her style was not only about her clothes though… it was about her charm and the way she held her self! 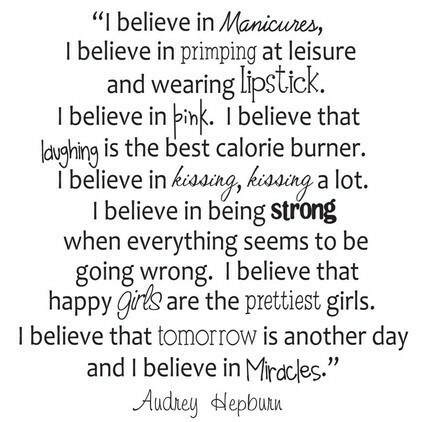 I love this quote … it sort of sums up who she was ! …And since I was cleaning up my make up and am still in that mood… I thought that I would share this cute video of doing make up Audrey style!